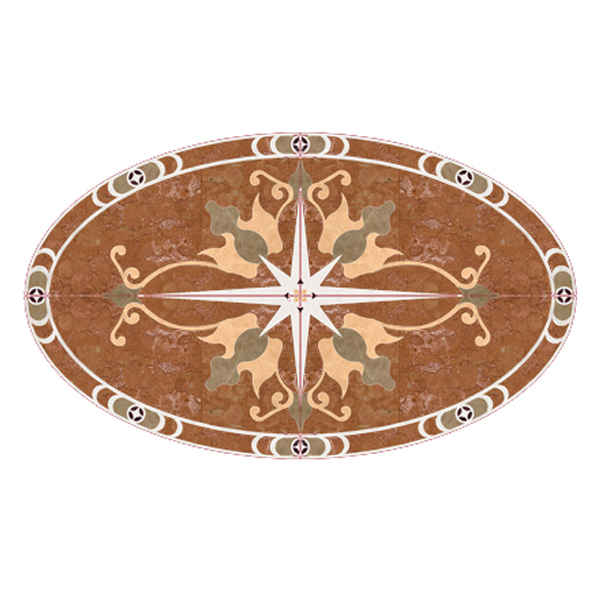 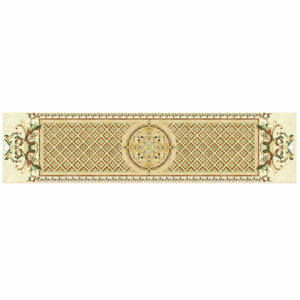 A beautiful brown oval water-jet medallion. 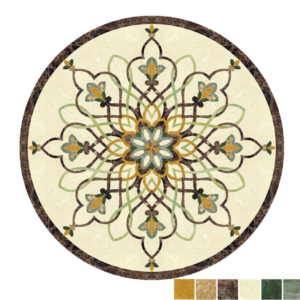 The shape of this medallion highlights the design chosen for this mosaic. 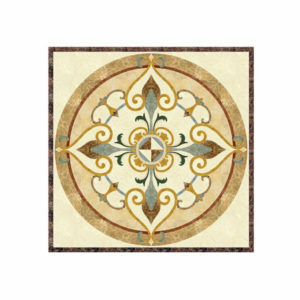 The background darker brown color emphasizes the central element that is a stylized modern cross like shape. 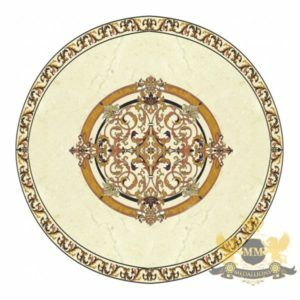 The extensions of this element posses such wonderful curves and beautiful colouring fact that makes it a perfect choice for any kind of floor.